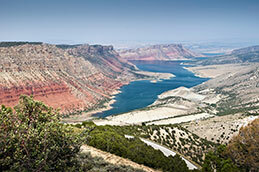 Flaming Gorge Reservoir was created in 1962 with the completion of the Flaming Gorge dam on the Green River. The dam was created to provide water storage and hydroelectricity. The resulting lake is 91 miles long with 350 miles of shoreline. The Utah section of the lake winds through colorful, narrow canyons; the Wyoming portion is wider and surrounded by high sagebrush deserts. The lake is managed by the National Forest Service as part of the Flaming Gorge National Recreation Area. Manila is a small town nestled against the hills on the north slopes of Lucerne Valley, a remote area tucked between the northern reach of the Uinta Mountains and the Wyoming border in Daggett County, Utah. State Highway 43 makes Manila the western gateway to the Flaming Gorge National Recreation Area for millions of yearly visitors. 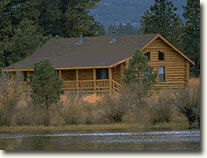 Manila offers a home base for the many needs of visitors to Flaming Gorge. 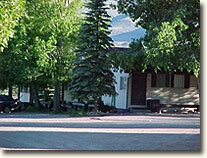 Lodging, food, camping supplies, gasoline and all recreational items are easily found. The Flaming Gorge Recreation Area offers opportunities for all types of fishing, boating, water sports, houseboating, and personal watercraft, with rentals available at the many marinas around the Flaming Gorge Reservoir. As frost rolls over the landscape the fun doesn't end with the warm weather. Winter is a magical time of year here in Flaming Gorge Country. Whether on cross-country skis or snowmobiles, there are miles of trails to explore. Come share the winter solitude with our spectacular wildlife. Enjoy year-round fishing. You will find the visit to Manila and Flaming Gorge one well worth repeating. Enjoy prime rib, appetizing halibut or a burger at The Hub. 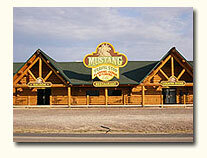 Pickup convenience items and fill up your gas tank at the Mustang Travel Stop. (307) 874-6066 (call first, hours vary). Open daily for breakfast, lunch and dinner, our staff is famous for their prompt, friendly service. Of course, it really is the food that makes our restaurant such a popular spot with the locals. Stop by this local favorite for breakfast, lunch, or dinner. Choose the family friendly dining room or the lively bar/lounge. Serving breakfast, lunch and dinner. Whether it is a famous Gorge Burger, or one of their specialty dinners such as Pork Tenderloin Alexandra, their western menu will please every member of your group. Located at the Intersection of Highways 43 & 44 in Manila, Utah. Brownings Corner Cafe is open and pumping out piping hot fried chicken and mouthwatering burgers. 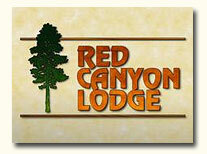 Custom-built, handcrafted log cabins are the perfect way to enjoy the peaceful lakeside setting of Red Canyon Lodge. It is a great escape from TVs and phones, and you won't find either in these cabins. 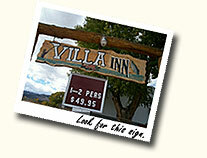 Vacation Inn offers Clean & affordable accomodations. Open March 15 - November 30. Boat parking, BBQ grills, cable TV, pet friendly. 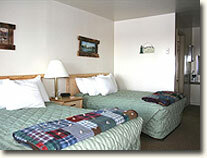 All rooms have queen size beds and kitchenettes, ½ mile west of city center. Your hosts Bryan and Jerilynn Smith invite you to kick off your boots and hang your hat among the twisted timbers that will surround you in the accents and furnishings of these handcrafted cabins. 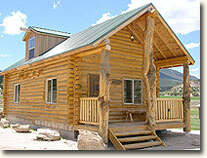 Flaming Gorge Resort has a unique blend of activities and accommodations. Large guest rooms and spacious condos welcome visitors with a spectacular view of the area. Located next to Lucerne Valley Marina and boat ramp. 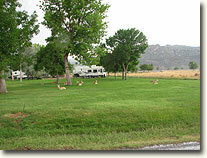 Daily visitors to your campsite include ground squirrels, and antelope. 144 single units, 4 double units and 4 group units with covered gathering areas. Amenities include: Dump station, Flushing toilets, Electricity in Loops A, C & D, Potable water, Fish cleaning station, Cabanas with picnic tables, fire rings, grills, extra parking next to Lucerne Valley Marina boat ramp. Most of the NRA campsites may be reserved in advance.